Samtse District (older spelling "Samchi") is one of the 20 dzongkhags (districts) comprising Bhutan. Historically, Samtse was sparsely populated as the mountain-dwelling Bhutanese considered the low-lying district to be prone to tropical disease. During the early 20th century the district experienced a large influx of Nepali people who were invited to the area to assist in forest-clearing. Overall the district population has recently been increasing and there have been housing shortages in Samtse as reported by Kuensel. Samtse is also home to the Lhop (Doya) people, a little-studied ethnic group of approximately 2,500 persons. 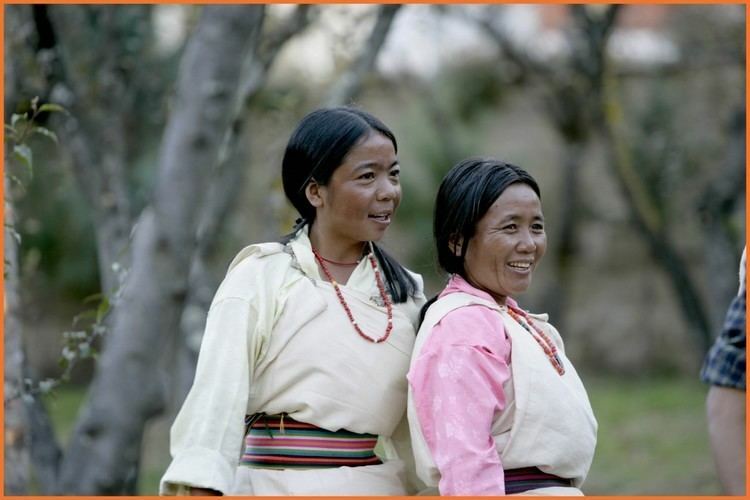 The Bhutanese believe them to be the aboriginals who predated the Tibetan migration from the north. The Lhop are noted for their animistic religious beliefs, their practice of marrying cross-cousins, and their unique burial customs. Samtse is also well known historically for being the home of the Gurung Kazi Family who governed the region in the early 1900s till the 1960s. Samtste has an abundance of natural deposits of talc, dolomite and other resources which are exported on a regular basis. It also houses a number of industrial and manufacturing units. Cardamom and oranges are the predominant cash crops, although most farmers practice subsistence farming. Out of the many gewogs of Bhutan, Bara gewog has the largest cardamom growing areas. In 2010 the production is very high. 2010 prices were very high compared to past years. With an area of approximately 1500 sq. kilometers it is a little more than twice the size of Singapore. It shares an international border with the Indian states of Sikkim to the west and West Bengal to the south, and internal borders with Haa and Chukha Districts. Unlike most other districts, Samtse, along with Chukha, contain no protected areas of Bhutan. Although much of southern Bhutan contained protected areas in the 1960s, park-level environmental protection became untenable.